The Tribeca Film Festival ended in April with a screening of Godfather I and Godfather II. The tribute was a way to mark the 45th anniversary of the release of Godfather I. Even before the film festival began, however, New Jersey mob figure Danny Provenzano was raising a toast to the movies. Provenzano, whose great uncle was the legendary Anthony (Tony Pro) Provenzano, has turned his fascination with those films and some astute foresight into a significant payday. A movie buff who has acted, directed and written scripts, Provenzano, 53, has always been a fan of the Mario Puzo-Francis Ford Coppolla classics. Shortly before he went to prison on a New Jersey racketeering charge in 2003, Provenzano inquired about the availability of various business trademarks linked to the Godfather phenomenon. 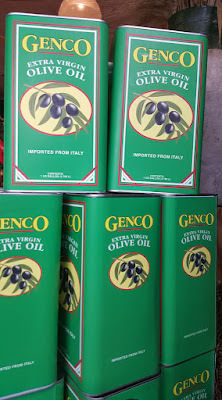 He was particularly interested in Genco Olive Oil. 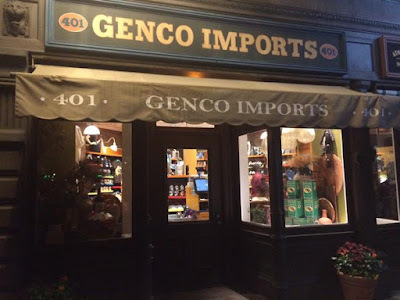 Genco, you may recall, was the company Don Corleone set up in New York to legitimize his business operations. Paramount had the trademark. But after Provenzano was released from prison in 2007, he learned that the trademark license had expired and was available. He bought it. “I think I paid $1,600,” Provenzano said with a laugh. Last year, MJ Licensing, a company that is already marketing Don Corleone Vodka in a deal with Paramount, decided it wanted to get into the olive oil business and inquired about the availability of the Genco brand. That, apparently, is when Paramount learned that it no longer had the trademark. MJ Licensing negotiated a deal with Provenzano instead. “He was a nice guy and easy to deal with,” said Jeffrey Dash, the CEO of Don Corleone Vodka and part of MJ Licensing team. Dash called the Godfather brand “iconic” and said his company hopes to roll out its Genco Olive Oil brand in the near future. Look for it as a supermarket near you. But he politely declined to discuss specifics of the deal with Danny Pro, nor would he say how much his company had paid for the trademark. Provenzano isn’t saying much about that either, but he was smiling broadly over dinner recently at Angelo Lutz’s Kitchen Consigliere Café in Collingswood, NJ, where between courses he happily reported the deal has given him some financial breathing room and a chance to pursue other projects. Provenzano has had his ups and downs since returning home nearly a decade ago from Northern State Prison, one of the toughest in New Jersey. He wrote directed and starred in a movie called “This Thing of Ours” that was release shortly before he went away. In a move that typified his bravado, part of that script came directly from the racketeering indictment the New Jersey Attorney General’s Office had brought against him. James Caan, Frank Vincent and Vincent Pastore had roles in the film, which won some local film festival awards but quickly went to video. Provenzano had a recurring role in one season of the Housewives of New Jersey after coming home from Northern State. He has also been actively involved in bare knuckles boxing, promoting that illicit fight game for an avid underground following. Matches, staged in obscure locations and touted by word of mouth, were often “sponsored” by Provenzano’s Genco Olive Oil company. How lucrative was Provenzano’s deal with MJ Licensing for the Genco trademark? Danny Pro’s not saying. But the case of Don Corleone vodka that was thrown in to sweeten the package – retail value of $900 – didn’t begin to scratch the surface. The payout was a six-figure deal, Gangland has learned. It was somewhere south of $500,000 but still in a very nice neighborhood for a trademark that cost him less than two Gs. Provenzano will also have a small percentage interest in the sale of the olive oil and he says he has retained the right to use the Genco name in promoting several of his other ventures.